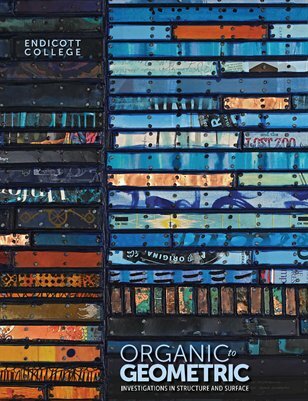 Organic to Geometric: Investigations in Structure and Surface, an exhibit at Endicott College. Thematically, the show presents a group of nationally known artists who have spent many years developing and innovating their technique and style while utilizing the complex but versatile medium of encaustic. The multifaceted applications of this medium are often carried by a sophisticated sense of structure and color, or perhaps a deep exploration into texture and the organic.